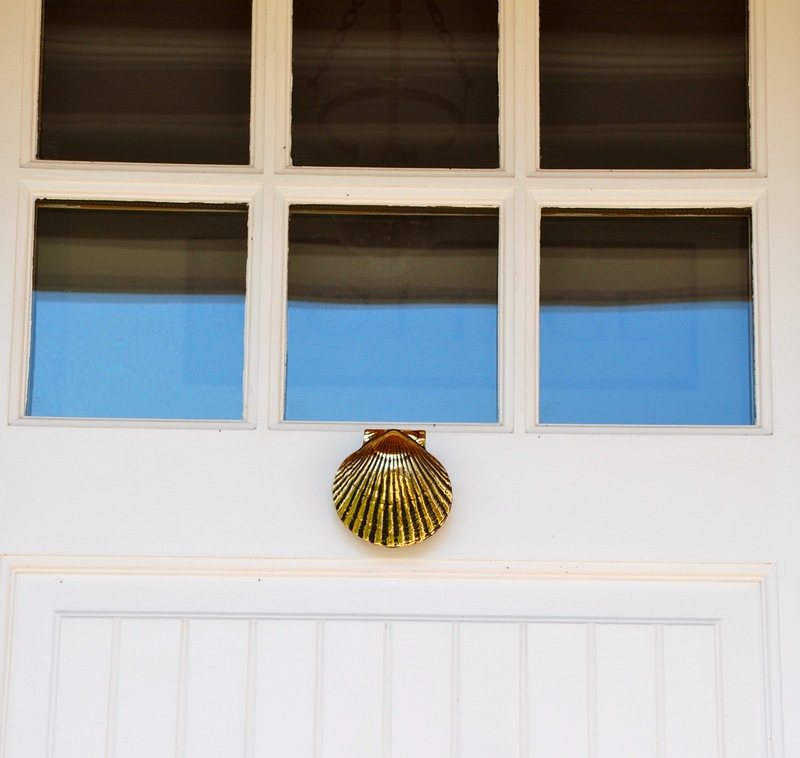 A great way to bring some coastal flair to the exterior of your home, and dress up your front door, is with artistic, decorative door knockers. My favorite door knocker designer by far, is renowned artist Michael Healy. Born and raised on Cape Cod, Michael’s designs are clearly inspired by his surroundings on the seashore. After graduating from the University of Notre Dame, Michael served in the US Air Force. Michael’s designs are made through the age-old technique of sand casting. 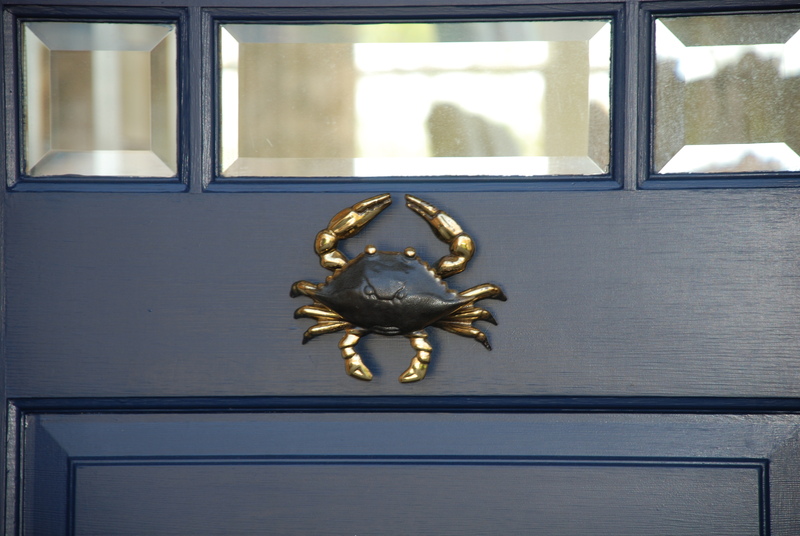 Each door knocker is hand-cast in sold bronze, solid brass, or solid nickel/silver. Of all the knockers he’s designed, my favorite by far is the the intricately detailed blue claw crab knocker. Living on or near the saltwater can be harsh for outdoor fixtures. It is imprtant when selecting outdoor hardware and fixtures that they are “weather proof” and can with stand the salt and sea air. So far the Michael Healy door knockers have been a winner in my book! 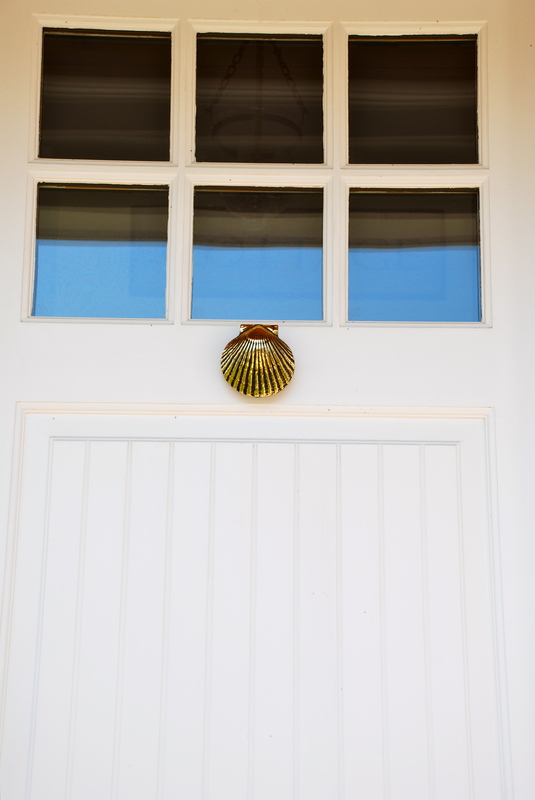 As important as the selection of your front door, so is the hardware you choose to adorn it. I highly recommend you visit Michael Healy’s website and take a closer look at all his work. I am sure that you will find an authentic bronze plaque, door knocker, dog knocker or door bell to fit the decor of your home.